Canary Islands Suppliers: www.canaryislandssuppliers.com is a brand controlled by the Maritime Cluster of Canary Islands, which is considered as the first internationalization overview of exporting companies and auxiliary services companies in the Canary Islands. We focus on the internationalization of our companies on a pooled basis, showing in other markets (national and international markets), our high level of professionalism, specialization and qualification, positioning ourselves as a logistics and services hub in the Atlantic arc. Thus, we facilitate to Canary companies the attraction of potential national and international clients, at the same time that we simplify the search and the localization of services for these clients. Canary Islands Suppliers are addressed to potential customers who need services across the West Africa coast, or specialized services in their places of origin, as well as those multinational companies that established their base of operations with Africa in Canary Islands. Are you one of them? Visit our website and find what you are looking for. 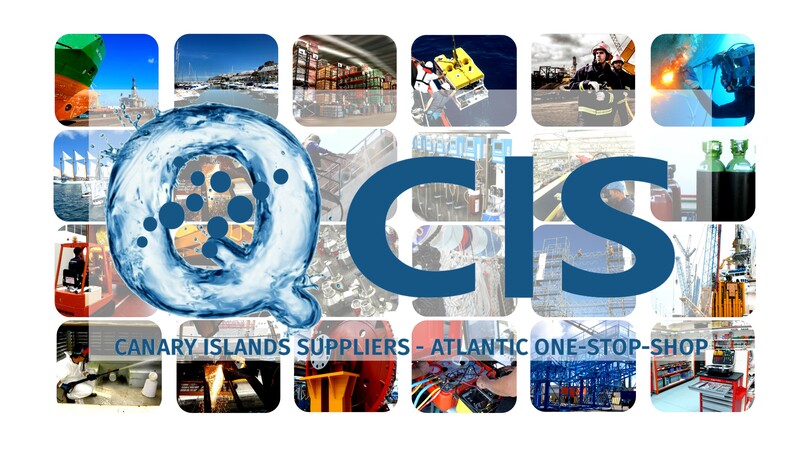 The companies that are part of the Canary Islands Suppliers brand aim to stand out from other ports in the same geographic area by taking to another level our commitment to service quality, workplace and environmental security and professional ethics. We certify our management processes under internationally recognised standards that allow our current and future clients to obtain and test the guarantees they can enjoy with us. Our hallmarks are now and will always be service quality assurance, legal and regulatory compliance, management transparency and professionalism in everything we do.